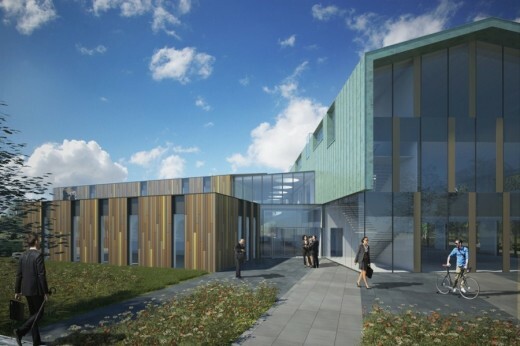 Work has started on the Sheppard Robson-designed Enterprise and Research Hub on the Inverness Campus, Scotland. 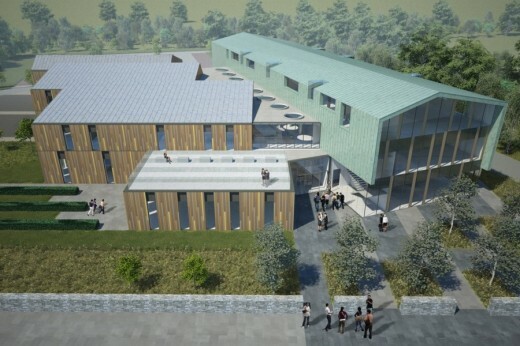 The new 4,800sqm development will create facilities for the University of Highlands and Islands as well as a headquarters for Highlands and Islands Enterprise (the region’s economic and community development agency). 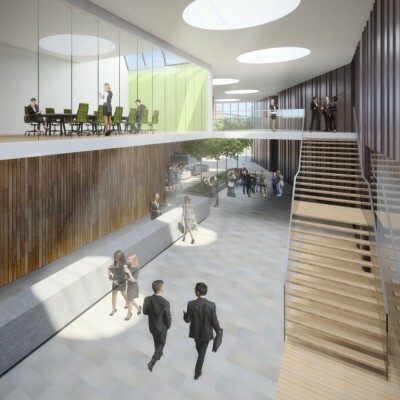 The project will be arranged as two separate wings linked by a double-height communication space to encourage collaboration between research, teaching and business. Positioned on the western side of the project is the Highland and Islands Enterprise’s (HIE) new main office which will allow the organisation to consolidate its team – previously spread across two locations in Inverness and Dingwall – into one central location. The three-storey structure is clad in pre-patinated copper which helps embed it within the surrounding landscape whilst the glazed ends to the building will provide spectacular views of the central park and water feature areas of the Inverness Campus. Running between the two wings is the double-height collaborative space which connects HIE’s workspace with the University by providing flexible working areas and a café for both teams to use. This central space has several connections to the University facilities, which include teaching rooms, research laboratory space, workshops, and offices. These facilities are housed in an aluminum-clad wing, which has a single-storey element near the entrance, which will create a roof terrace. ‘We wanted the architectural language to capture the ambition of a project – which brings together business, research and education – by creating a design that was unmistakably contemporary but still feels rooted within the landscape and community. Funding contributions for the development have come from the European Regional Development Fund, University of the Highlands and Islands, HIE and the Highland Council.